We have integrated lots of highly needed features for our customers in Circle Flip. We are also open to new ideas and suggestions. osCommerce is an Open Source Online Shop E-Commerce Solution.Shah Net Technologies offers a wide range of out-of-the-box features that allows online stores to be setup fairly, quickly and with an ease. OsCommerce (open source commerce) is an ecommerce and software program of online store management. It is powered by two technologies Php and MySQL. OsCommerce cart features helps merchants to setup a beautiful online store in the way they want. OsCommerce development features helps to customize the online store in less time. We provide solutions for osCommerce (Open Source) ecommerce solution. We offer osCommerce design, osCommerce integration, osCommerce customization, osCommerce site maintenance, osCommerce SEO services. 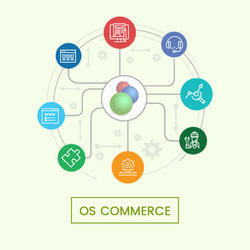 Open source applications like Os commerce, enable e-commerce activities function efficiently. 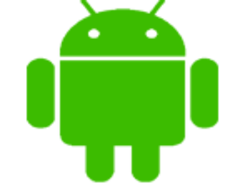 Our developers have the experience and expertise to develop APIs and customize them. We have developed a couple of Os commerce based websites that have won client appreciation. osCommerce has attracted a large growing e-commerce community that consists of store owners and developers who support each other and extend osCommerce Online Merchant with add-ons being contributed on a daily basis. Reckoned as one of the eminent business names, we are readily engaged in the arena of presenting to our customers OS Commerce. A team of nimble personnel implements these services in tune with pre-defined provisions of clients. As well, we provide these services to our clients with utmost care to best match up with the prospects of our clients. OsCommerce is an e-commerce and online store-management shopping cart services. It is the leading open source e-commerce solution and used on any web server that has PHP and MySQL installed. - OScommerce is a popular ecommerce platform. With such tool, we develop an ecommerce site with easy functionalities. The company has earned good reputation due to the successful completion of projects in the past. Linath Infotech is a leading OSCommerce Development Company in India. A complete Package , W3sols Team works on self-hosted online store website to market and securely sell products and services to customers worldwide. For the last decade business has grown multifold in all directions along with globalization. An average person needs to remain ‘in touch’ always and a business man has to ‘stay connected’ 24/7.these slogans have now become a truth in everyday routine life. This page is by no means a complete guide, and there are many aspects of Oscommerce which are not covered here. These are mostly tips and tricks to get you started. For more detailed information, you could start with this excellent set of articles.